Learn to fly in a quiet country environment on one of the best aerodromes in Ontario. 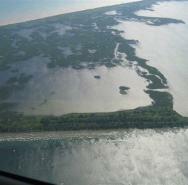 Take a guided aerial tour of the Tillsonburg area including the Long Point conservation area. Rent an aircraft to see the area on your own, previously attained pilot license required. Expand your own abilities by adding ratings to your license like a night rating, over the top and many more.